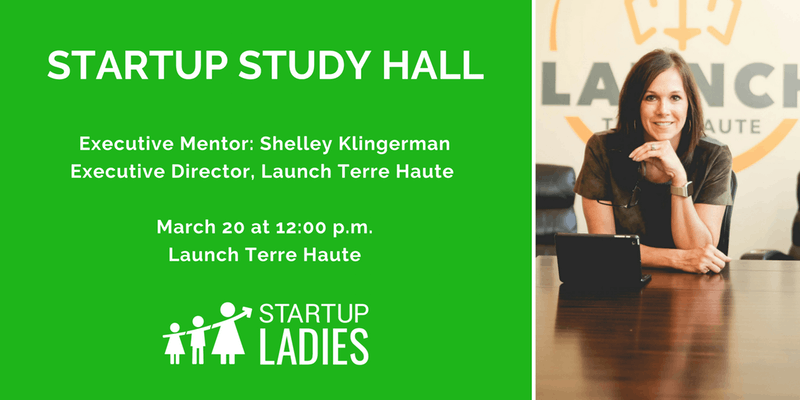 The March Startup Study Hall featured our very own Executive Director, Shelley Klingerman! Being Bold in Your Mission was all about finding your core values, listening to yourself and your needs, and following through with them. Read on for a quick recap of what happened. At this month’s meetup, we discussed how our most impactful pursuits can resonate with us beyond our workspace and into our community, and how if we apply our core competencies to our professional and every day lives, we can learn to truly launch ourselves directly at our missions. As the TSL Terre Haute Chapter coordinator, Cristina Elliot agreed. “ When we’re reflective about ourselves and our daily processes, we become empowered, fulfilling goals and actions.” We got vulnerable and we got personal, and it was an incredible hour. Shelley worked in a corporate environment for 18 years but always had the desire to “own” something. While working full-time, she opened a women’s boutique and produced a documentary! As the Terre Haute community began losing some manufacturing companies, Shelley and a few of her contemporaries started to look into how they could help give members of the community the resources they needed to stay in the area. With a lot of startup activity having just taken off in the Wabash Valley, they had their idea, and Shelley soon left her corporate job to transition into the role of Launch Terre Haute’s Executive Director. Shelley’s story brought up a lot of emotional touchpoints for all who attended and the conversations took some very poignant turns. It brought a certain level of depth to the room that was almost tangible. “Being vulnerable isn’t easy, but it’s one of the best ways to establish a common ground with others from where you can start to build a relationship. It levels the playing field,” said Shelley. To learn more about The Startup Ladies, head here, and be on the lookout for upcoming TSL events! The Terre Haute Chapter meets once a month.